Here are some classroom management tools, mostly dealing with behavior issues. This is a set of very useful forms for new and veteran teachers. Get back into the classroom a lot more easily with over 50 forms for all occasions! 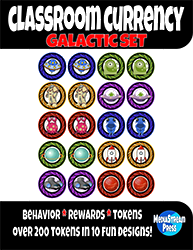 Each of these volumes features 220 classroom tokens in full color, front and back. Each volume has a specific theme, which may appeal to your classroom demographics or age groups. They might even like them all! 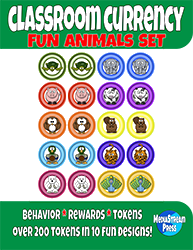 ​Use them for classroom currency, as behavior tokens, and rewards! Absent Andy, Affection-starved Amy, Blurting Betty, Bullying Bill, Casanova Carl, Chatty Cathy, Daydreaming Danny, Dramatic Dana, and Funnyman Frank are just a few of the student behavior archetypes addressed in this manual. 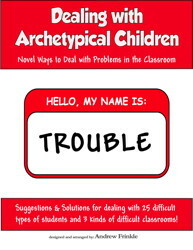 Each of the 25 archetypes has a list of researched, tried-and-tested methods to overcome some of the issues you might find in students that really try your patience. This manual makes for a great conversation-starter and sharing manual for grade-level meetings, school-wide behavior meetings, and new teacher manual. 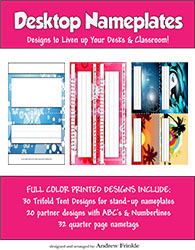 Desktop Nameplates is a collection of 3 types of nametags for the classroom. It has enough for most classrooms, with at least 30 of any type, so teachers can decorate to their hearts' desires. 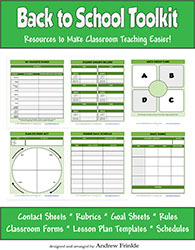 This is another classroom tool, featuring 100 graphic organizers to help with thinking maps, concept mapping, taking notes, and learning dozens of important skills in all subjects. It's really a lifelong teaching tool! 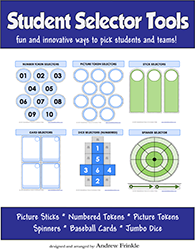 Use these tools in your classroom to help with group formation, student selection, seating arrangements, and more! Included are dice, spinners, cards, tokens, and more! 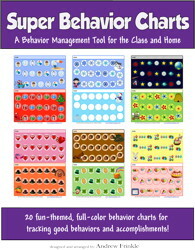 Super Behavior Charts is an easy-to-use behavior management tool for the classroom and home. Whether you are trying to encourage your child to do their chores, to get good grades, or to increase the frequency of desired behaviors, these 20 fun charts will help you get there! 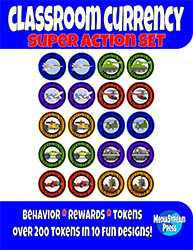 Included are popular fun themes like: dinosaurs, rockets, and sports, as well as seasonal and holiday themes! Each one is on a half page in full color. Print them out and use them for your whole class or for different children at home. You could even use a different one for each behavior or task you are trying to encourage or see to completion.